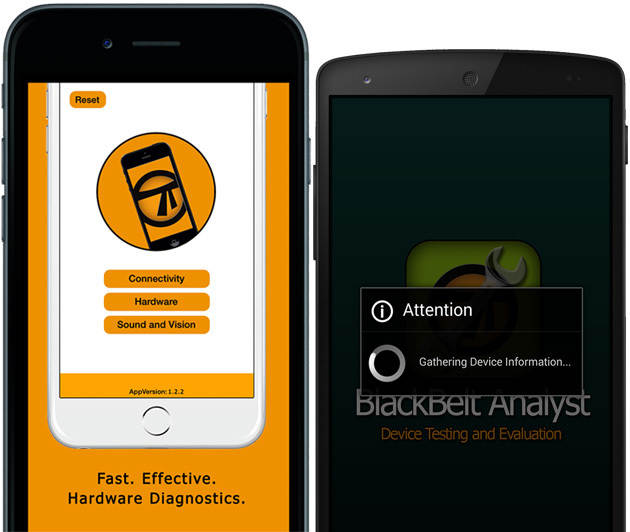 Blackbelt Analyst is an easy-to-learn-and-use mobile device diagnostic platform for workstation operators in a recycling environment. Blackbelt Analyst automatically collects phone and tablet specific data, guides the operator through a series of standard tests, records the results of the test session and outputs a report in industry standard XML. It can be easily integrated with existing Management Information and Quality Control systems. Blackbelt Analyst provides a clear repair/refurbishment audit trail by recording and comparing pre and post refurbishment analysis data. BlackBelt Analyst improves operator productivity, increases accuracy, reduces costs and generates valuable management data. Ultimately Blackbelt Analyst reduces the incidence of phones or tablets being processed and data wiped when actually it's not viable to do so - a great time and money saving asset for the recycler community.